Beginners & Improvers – all equipment provided. Coaching for girls and boys aged 7-16 years. Beginners & Improvers, boys & girls – all equipment provided. Coaching for girls and boys aged 8-16 years. It’s that time of year, again, when parents scramble to find activities that will keep their kids occupied and entertained during those long summer months. This spring and summer we would like to provide Dublin kids with a summer camp that explores the exciting world of fencing. With centuries of history, fencing was the style of combat used by King Arthur’s Court and adversaries dueling to defend honour. Today, fencing is a respected Olympic sport that combines nobility, athleticism, strategy, and speed. Fencing can build your child’s self-esteem, help them make new friends, acquire valuable time management abilities, and develop strategic thinking. Correct footwork: Beginner/improver fencers will integrate the proper fencing stance and learn how to move on the strip – becoming fluent in changing directions and tempos. We will pay a lot of attention to rhythm since this is a major aspect of fencing. Distance control: Your child will develop the ability to gauge the optimum distance for specific actions such as defense or attacks, as well as recognize the precise timing of when to strike. 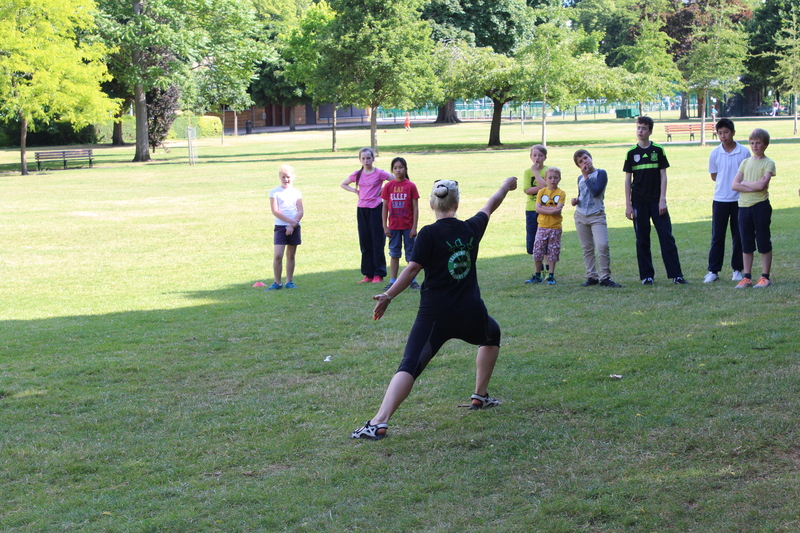 Blade work: We will use specific exercises and drills to help campers develop a natural way of handling the weapon. Campers will learn the correct technique of making a touch or hit in order to score. Etiquette: Learning the rules, manners, and sportsmanship of the game is an important part of fencing and we will make sure to educate your child on these matters. 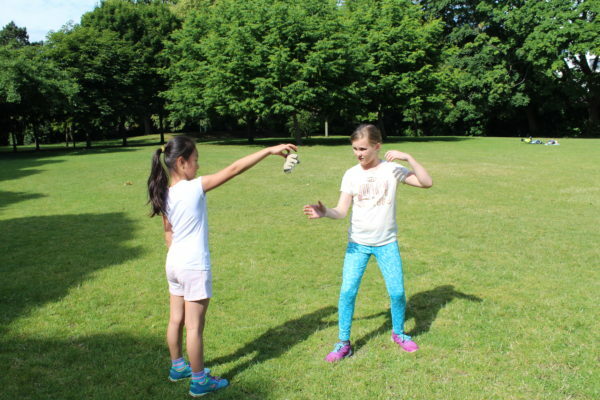 Bouting: Campers will experience the thrill of using the electrical equipment in bouting sessions between fellow campers. This will help them become used to the equipment before a tournament. Drill work: To strengthen the muscles used in fencing and develop skills, we will use specific drill work, such as attacks on the opponent’s right side only or left-side defensive moves. 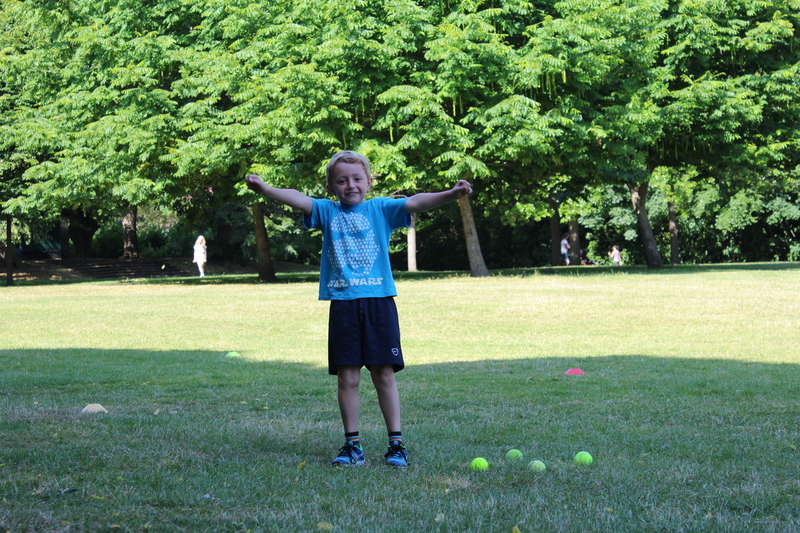 We understand that the session needs to be fun and engaging for the kids. This is why our exercises often combine the elements of games and activities that work on a specific set of muscles or necessary skill. For example, sometimes our warm-up exercises will include a game of handball or dodgeball, which builds endurance, hones spatial relation capabilities, encourages team spirit, enhances hand-eye coordination, develops defensive strategies, and gets the camper used to assess a situation quickly and then reacting just as fast. Other times, coaches will create a competitive game between fencers to practice their footwork – it can be physically challenging but the fencers don’t notice because they are so distracted by the fun of the game! To make sure the kids are comfortable with the exercises and drills we do, we will continually assess each child during the camp to see what he/she can accomplish. We want to give kids enough of a challenge that pushes them to work towards a new level, but not so hard that they become discouraged. Neither do we want to exhaust the kids to the point that they do not have the energy to continue the next day. The coach will maintain the delicate balance that gives kids just the right amount of training to stimulate and challenge – yet still have the desire to learn more the next day. At the end of the camp, there will be a friendly fencing competition among fellow campers. This is not a formal competition, it will be held in the spirit of fun and learning. At Pembroke Fencing Easter/Summer Sessions, your kids will enjoy a full day of learning and fun.